Don’t deal with the hassle of excessive hidden fees. Below are the prices you will expect to see when our technicians get to your facility. They really are a better value than any of our competitors. Did you know that we will cut our mirrors to fit your needs? 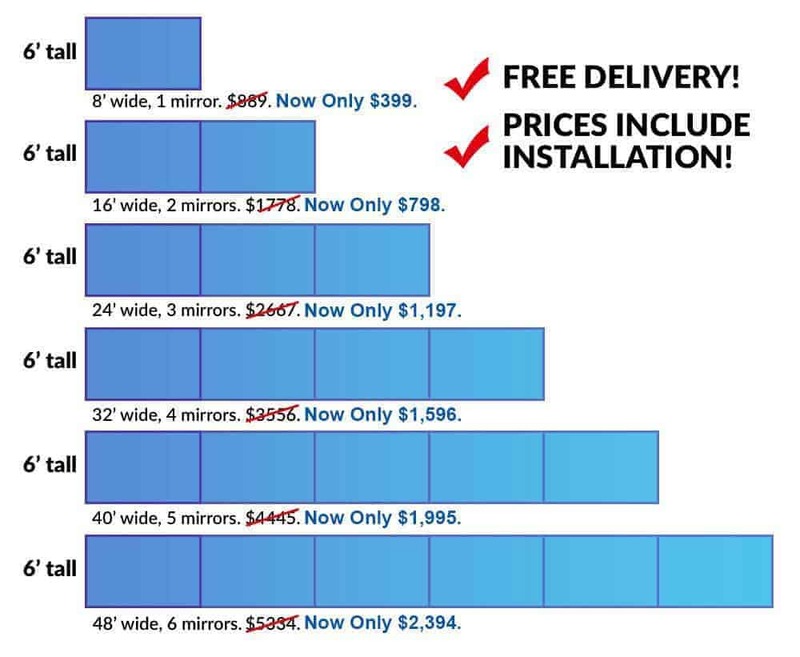 Whatever size requirements you might have, we’re happy to work with you to provide the best mirror at the best price. *Price is per receptacle in a junction box. All receptacles must be at least 12″ from any edge of mirror if we are cutting for them.